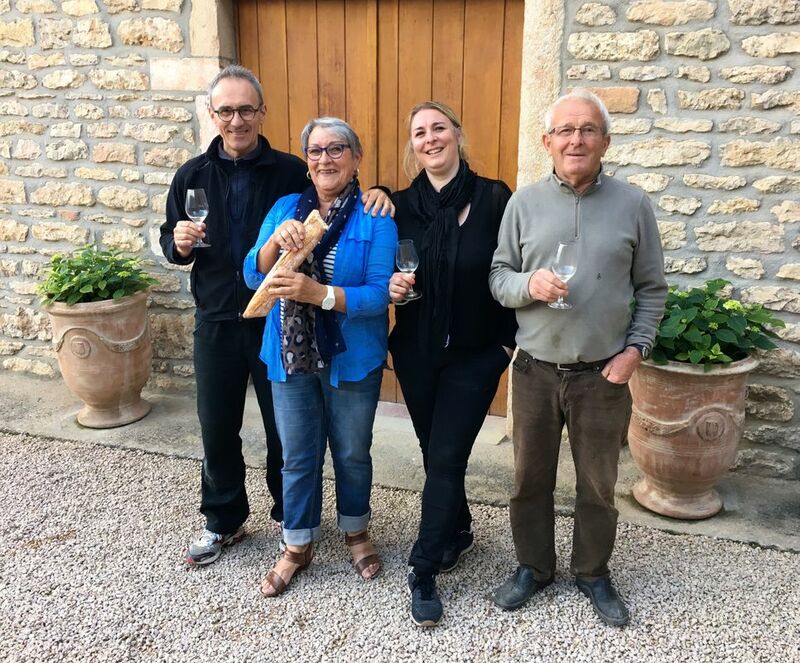 Domaine Parisse is owned by Christophe Thibert and his sister Sandrine Thibert-Needham. While some of their labels bear the name Domaine Thibert and others Domaine Parisse, they are in fact two different labels that avoid marketing conflicts but that contain the same wine. The domaine is located in the center of the picturesque Fuissé and now totals 22 hectares whose grapes produce 180,000 bottles a year. The family has been growing grapes for 7 generations. Christophe’s grandfather was one of 12 children whose family owned only two hectares of vines. Understandably, when his mother and father René Thibert and Andrée Parisse, decided to stay in town and make wine, it was necessary for them to rent parcels and buy them whenever possible. In 1967, with 2.5 hectares to their name, they harvested their own grapes for the first time, selling them to the local cooperative. With his wine school studies complete, Christophe began working at the domaine with his father in 1990. While still selling grapes to the coop, they began to bottle wine for the first time. In 1999, after completing her studies that included a jaunt in New Zealand (where she met her husband), his sister Sandrine jointed the family firm. Today, Christophe is in charge of the wine side of affairs, while Sandrine deals with the commercial side of the business. Nearly half of their vineyards are in Pouilly-Fuissé, and they have others in Pouilly-Vinzelles, Pouilly-Loché, Saint Veran, Macon-Fuissé, Macon-Prissé and Macon-Verzé. In 2007, The Thibert’s began converting to organic viticulture but a couple of years later decided to modify their approach. While they abandoned the use of chemical fertilizers, began plowing instead of using weed killer, and limited their synthetic sprays to the most crucial parts of the season when the health of the plants are compromised, they didn’t seek any sort of official certification. Harvest is done partially by hand and partially be machine. Generally, the more expensive the cuvée, the higher the chance is that they are harvested by hand. 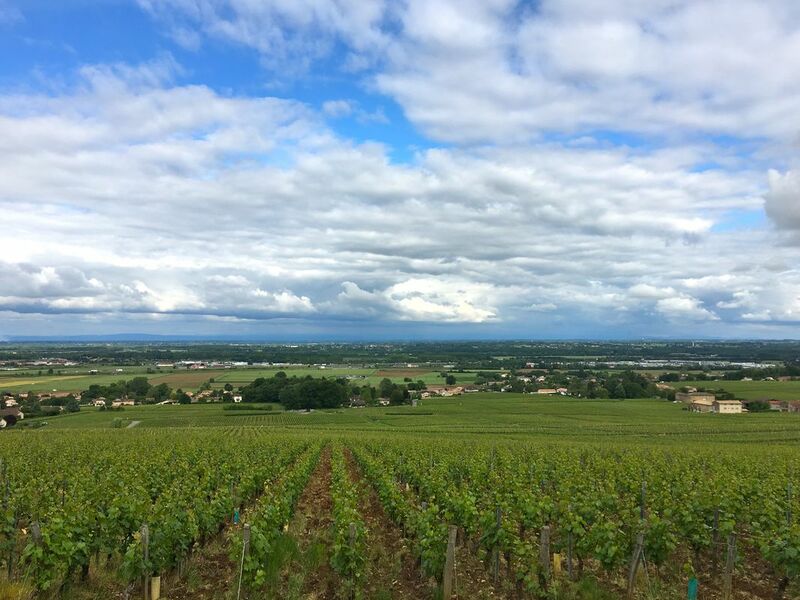 For example, all of the Pouilly-Fuissé wines are harvested by hand, but only part of the Pouilly-Vinzelles or Saint Veran vineyards experience hand-harvesting. 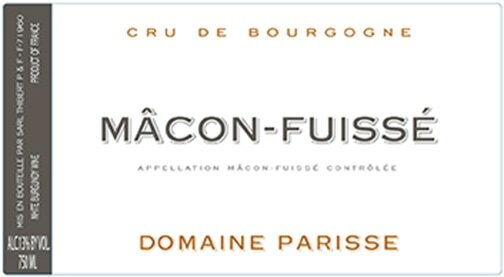 All of the wines coming from the Macon villages are harvested in the early hours of the morning with a late model, high-tech machine. Many of the Thibert wines are harvested and vinified parcel by parcel and often released with the parcel or climat name on the label, like Saint Veran Bois de Fees, Pouilly-Vinzelles Les Longées or Pouilly-Fuissé Les Cras. Many of these single parcels will hopefully one day have Premier Cru status (paperwork has been submitted to the INAO for their consideration). 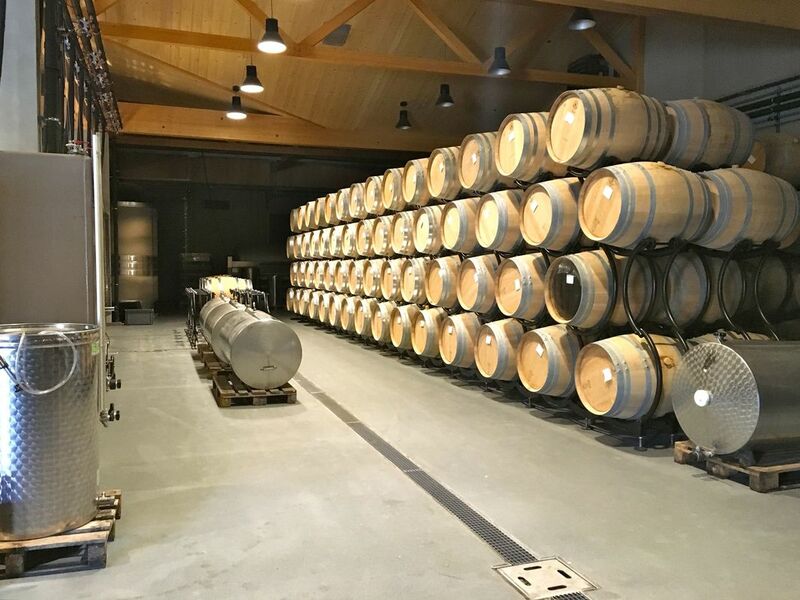 Apart from the Macon wines, all Thibault wines see aging in barrel, but since 2012 the amount of new oak has been severely decreased. For most wines, no more than 5-15% new oak is used so that the fruit, the terroir and the minerality remain at the forefront. Aging in small barrels, whether new or used, allows Thibert to also keep filtration to a minimum prior to bottling. Production is currently about 180 000 bottles a year. 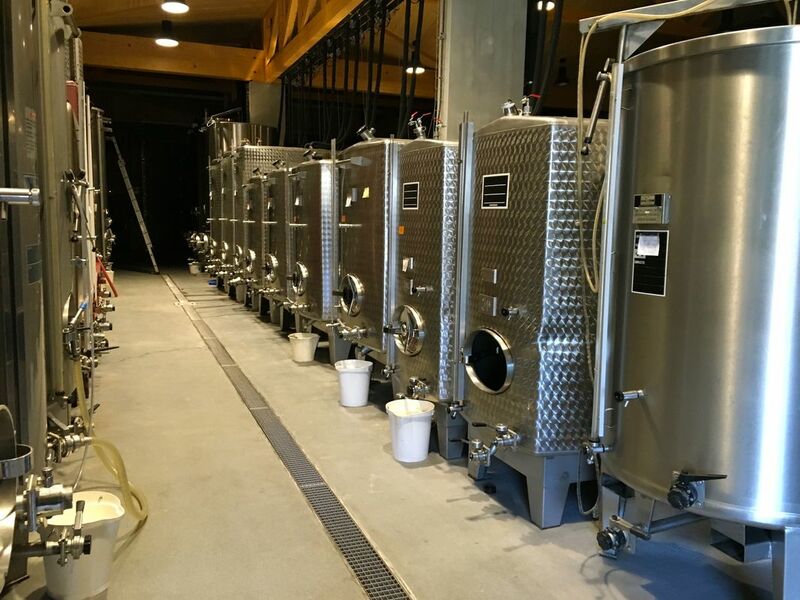 Attention to detail in the vineyard, low yields, a judicious use of new oak and minimum filtration are factors which help make the Domaine Parisse wines so delicious. Pouilly Vinzelles Les Longeys: In terms of minerality a Pouilly-Vinzelles has a character that is closer to a Pouilly-Fuissé. 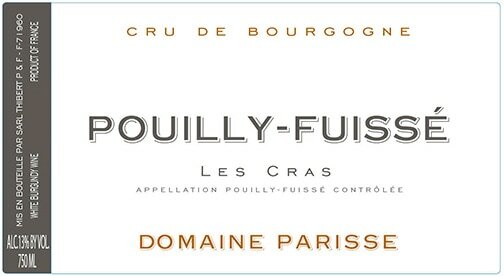 But a Pouilly-Fuissé has more depth and concentration. 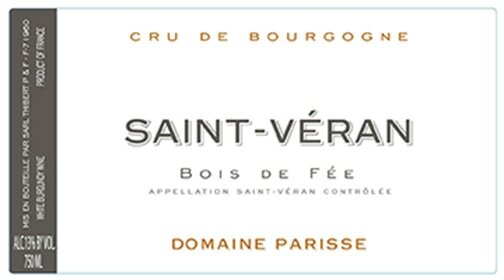 Saint Veran Bois de Fées: Saint Veran is split into two separate islands by its close relative Pouilly-Fuissé, with both occupying slopes forming part of the chain of hills to which the Roche de Solutré belongs. Prissé and Davayé lie to the north of the Roche, while Leynes, Chasselas, Chânes, part of Solutré-Pouilly and Saint-Véran (from whose name the appellation name originally came) lie to the south. This rocky backbone is made of fossil-rich limestone mixed with clay, flint and marl. Saint-Véran wines are generally fresh, a little less rich than a Pouilly-Fuissé and offer excellent price/quality rapport. Bois de Fées, grown on a lovely slope overlooking the town of Chasselas and Leynes, produces a rich wines with lovely notes of tropical fruit restrained by taut acids, a finely perfumed musk note and excellent length. This Saint Véran is very fine indeed!